What does it take to implement the Agile methodology effectively? The Agile software development methodology is composed of a number of techniques designed to help deliver incremental releases of high-quality software more quickly than ever before. In this Webinar we present five distinct challenges that if left unaddressed will drastically reduce an organization's ability to gain the benefits promised by a move to Agile development methods. 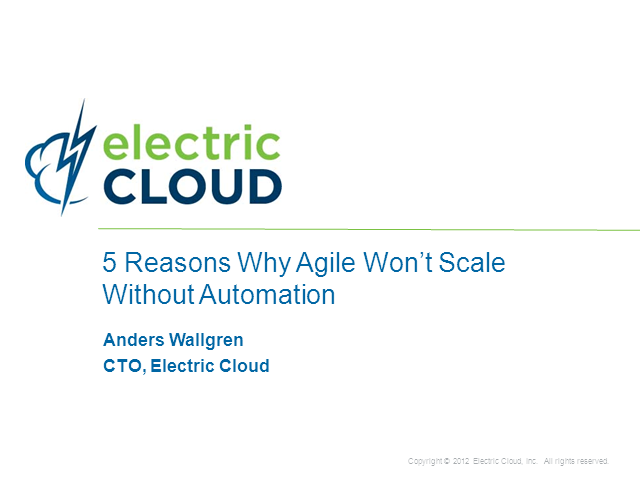 Attend this session to learn why automation is critical to scale and ensuring Agile success.